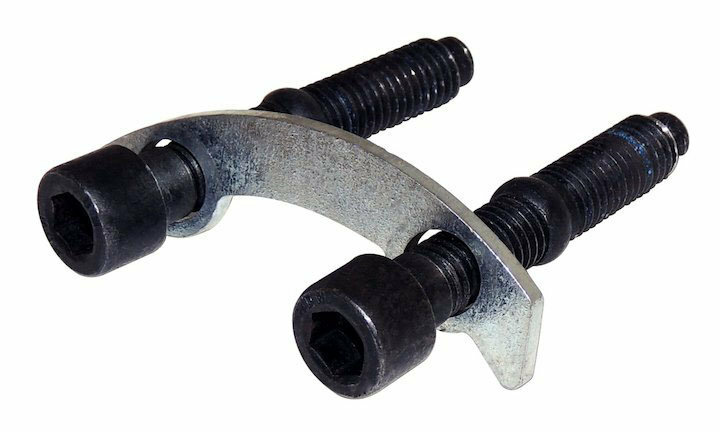 Crown Automotive offers this Drive Shaft Retainer & Bolt Set as a direct replacement part and is backed by Crown's 12-month, 12,000 mile warranty. Grand Cherokee (WK) (2016-2018) w/ 4WD; w/ 230mm Rear Axle; Rear Drive Shaft to Transfer Case. Grand Cherokee (WK) (2012-2013) w/ 4WD; w/ 195mm Rear Axle; w/ Quadra-Trac I 4WD System; Rear Drive Shaft to Transfer Case. Grand Cherokee (WK) (2012) w/ 2WD; w/ 215mm Rear Axle; Rear Drive Shaft to Transmission. Grand Cherokee (WK) (2011-2015) w/ 2WD; w/ 3.6L engine; w/ 230mm Rear Axle; Rear Drive Shaft to Transmission. Grand Cherokee (WK) (2011-2015) w/ 4WD; w/ 5.7L engine; w/ 230mm Rear Axle; Rear Drive Shaft to Transfer Case. Grand Cherokee (WK) (2011-2015) w/ 4WD; w/ 3.0L Diesel engine; w/ 230mm Rear Axle; Rear Drive Shaft to Transfer Case. Grand Cherokee (WK) (2011) w/ 4WD; w/ 225mm Rear Axle; Rear Drive Shaft to Transfer Case. (2011) w/ 4WD; w/ 215mm Rear Axle; w/ Quadra-Trac I 4WD System; Rear Drive Shaft to Transfer Case. Grand Cherokee (WK) (2011) w/ 4WD; w/ 195mm Rear Axle; Rear Drive Shaft to Transfer Case.